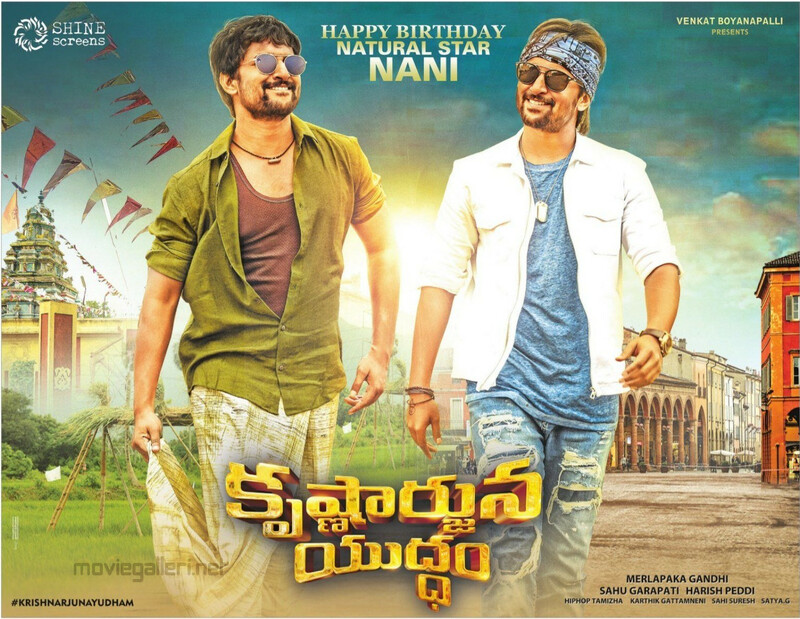 “Krishnarjuna Yudham” is a Telugu action comedy film which is written and directed by Merlapaka Gandhi and starring Nani, in a dual role. The female leads of the film are Anupama Parameswaran and Rukshar Mir. Everyone has been eagerly waiting for Natural star Nani’s next project i.e “ Krishnarjuna yudham “, is now on big screens. This film is produced by Sahu garapati and harish peddi under Sri Venkateswara films by shine screens. The script is written by marlapaka Gandhi himself. The cinematography is done by Karthik Ghattamaneni. The music for “ krishnarjuna yudham” is composed by hip-hop tamizha. This film is already released today i.e on April 12th, 2018. The story revolves around the two characters Krishna and Arjun, Both played by Nani himself, And their love interests. 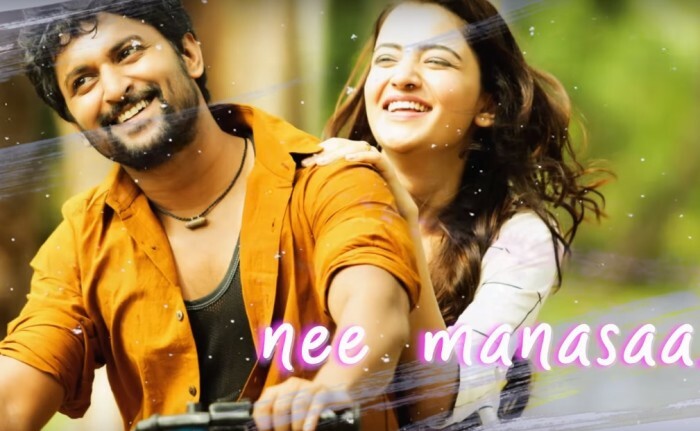 Nani is playing two characters in this movie, One is Krishna who lives in a village of Chittoor district, Other character Arjun has been shown as a Posh Rockstar who lives in abroad. Krishna is in love with a girl named Riya And trying his best to get her while Arjun is a flirt who believes in use and throw policy. The story revolves around these two characters, Meanwhile, Arjun tries for SubbaLakshmi(Anupama Parameshwaran) in Europe. The interval twist reveals the main plot of the story, The girls get kidnapped by Human Trafficking mafia, How both Krishna and Arjun saves them is the story. The story is somewhat similar to an English movie Taken, Though the subject is good the director fails in the presentation. Most of the times it feels dragged and boring, While the songs are nothing but speed breakers. The first half of the movie was fine but the second half tests the patience of the audience. It also misses logic big time. After back to back double hattrick, it seems like Nani is all set to taste a failure with this movie. But we have seen his average movies pulling the audience to make it into a hit, We have to see if he can repeat that magic or not. Stay tuned to this website. We will update Krishnarjuna Yudham collections here. Press CTRL+D to bookmark this page for easy navigation.